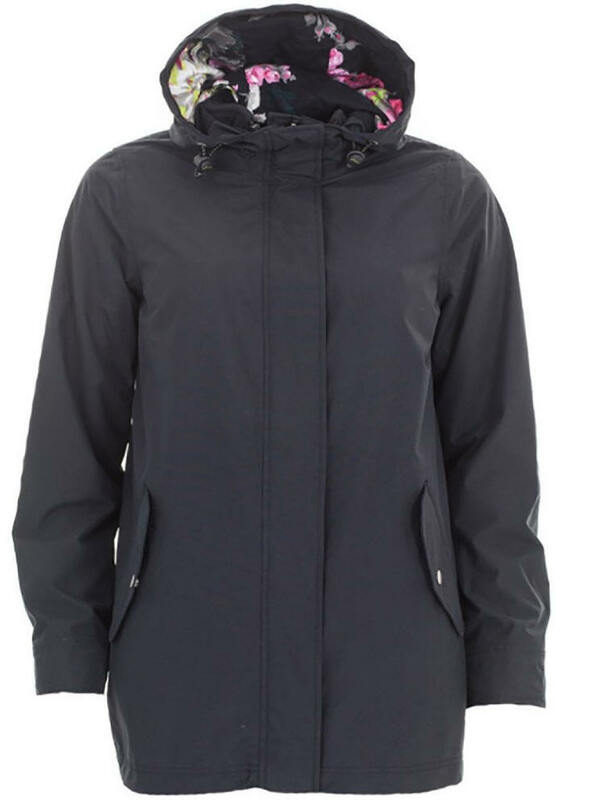 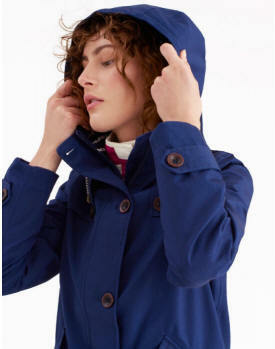 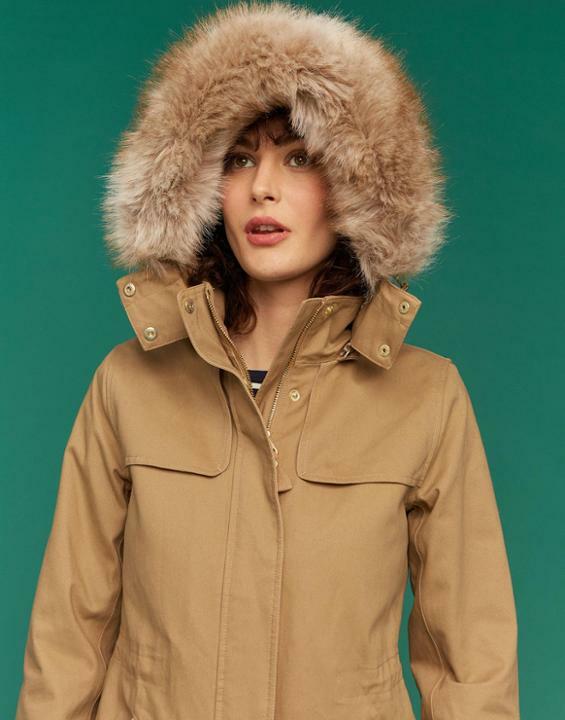 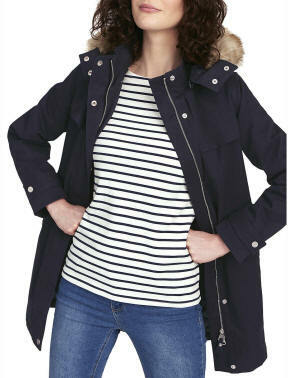 This Joules Women's Brodie Wax Parka was taken inspiration from the shape of a classic parka for this exceptionally stylish coat. 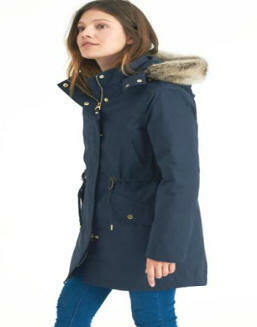 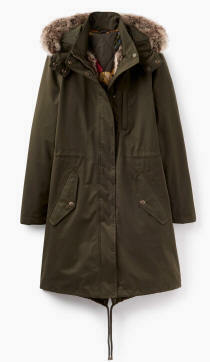 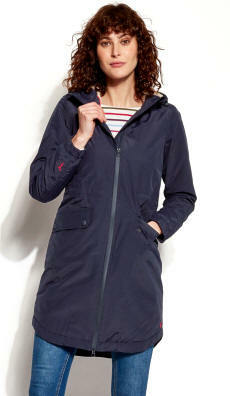 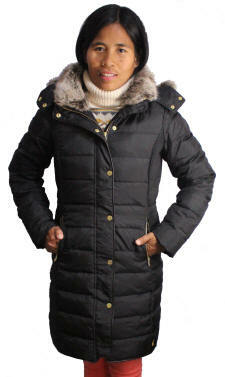 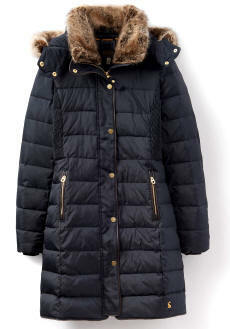 Coated in faux wax and with an adjustable fishtail we’ve also added a detachable fur trim lining for additional warmth. 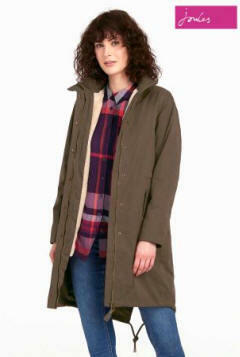 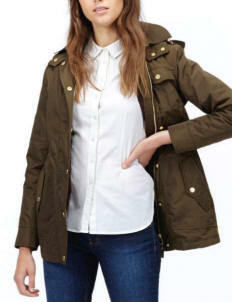 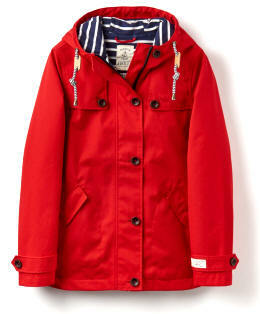 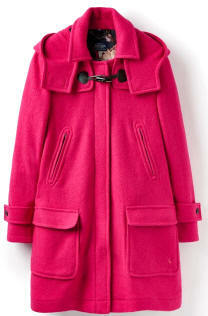 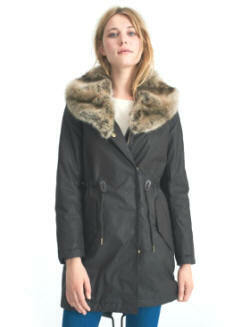 Brass buttons and a detachable faux fur lined hood add to this coat’s (substantial) appeal.